A special release of the very first crime novel by John Rhode, introducing Dr Priestley, the genius detective who would go on to appear in more than 70 best-selling crime novels during the golden age. When Harold Merefield returned home in the early hours of a winter morning from a festive little party at that popular nightclub the Naxos, he was startled by a gruesome discovery. On his bed was a corpse. There was nothing to show the identity of the dead man or the cause of his death. At the inquest, the jury found a verdict of ‘death from natural causes’ - perhaps they were right, but yet? Harold determined to investigate the matter for himself and sought the help of Professor Priestley, who, by the simple but unusual method of logical reasoning, succeeded in throwing light upon what proved to be a very curious affair indeed. 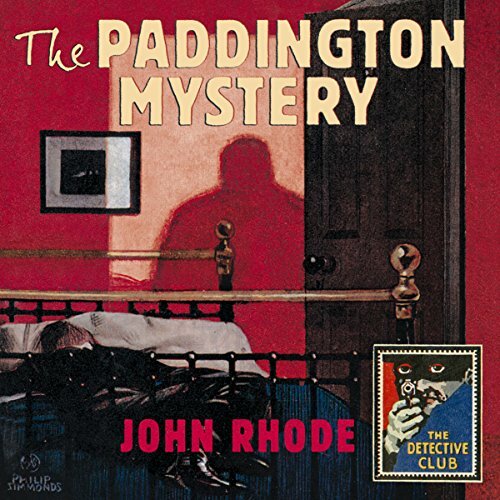 This Detective Club classic is introduced by crime writing historian and expert Tony Medawar, who looks at how John Rhode, who also wrote as Miles Burton and as Cecil Waye, became one of the best-selling and most popular British authors of the golden age.